My Latest P&P Variation, When Jane Got Angry, is Now Available! My latest Pride and Prejudice variation, When Jane Got Angry, is here! It’s now available on Amazon, Smashwords, BN.com, Kobo, iTunes and other sites. The paperback is available on Amazon. 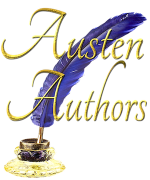 The story focuses on Jane and Bingley–with a little Darcy and Elizabeth thrown in. Check out the blurb below! When Mr. Bingley abruptly left Hertfordshire, Jane Bennet’s heart was broken. Since arriving in London to visit her aunt and uncle, Jane has been hoping to encounter Mr. Bingley; however, it becomes clear that his sister is keeping them apart. But what would happen if she took matters into her own hands? Defying social convention, she sets out to alert Mr. Bingley to her presence in London, hoping to rekindle the sparks of their relationship. Bingley is thrilled to encounter Jane and renew their acquaintance, but his sister has told him several lies about the Bennets—and his best friend, Mr. Darcy, still opposes any relationship. As Jane and Bingley sort through this web of deceit, they both find it difficult to maintain their customary equanimity. However, they also discover that sometimes good things happen when Jane gets angry. Check out the review and excerpt and giveaway! Also, you can find out which world leader Margie was fantasizing about when she was reading the book. Although, here’s a hint…. 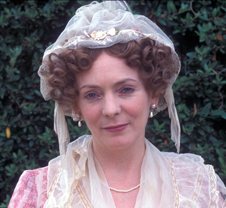 For mother’s day: a rumination on Mrs. Bennet. Austen pokes fun at a lot of characters in P&P, but I find myself being most sympathetic to Mrs. B. While Wickham, Collins, and Lady Catherine act wholly out of self-interest, I do believe Mrs. B. is acting out of concern for her daughters and not just mercenary considerations. Why do I think this? Oddly, it’s because she dislikes Mr. Darcy. If Mrs. B. were solely interested in money and the security that a good marriage could bring her and her family, she would be pushing one of her daughters to pursue Mr. D. even though he’s an unpleasant, proud person– in her opinion. But she decides she doesn’t like him, and that’s the end of him and his ten thousand pounds as far as she’s concerned. She likes Collins and Wickham (yes, she does have bad judgment) and so thinks they would make good husbands for her daughters (at least once Wickham gets past his little elopement and gambling problem). But she doesn’t push anyone toward Mr. D. because she doesn’t think he is a nice person despite the fact that he’s the best catch in the neighborhood. I may be influenced by my own motherly instincts; every mom is worried about her child’s future happiness. I know I was less sympathetic to her and more inclined to think of her as meddling and annoying before I had kids. But, the thing is, she’s not wrong that the stakes are high and, honestly, I don’t blame her for being worried. You just have to look to the beginning of Sense and Sensibility to see what Mrs. B. is afraid will happen. She might go about the solution in the wrong way, but she’s not wrong about the problem. And that’s why I find it easier to forgive her misguided ways than the other characters in P&P. Cover Reveal for Pride and Proposals! 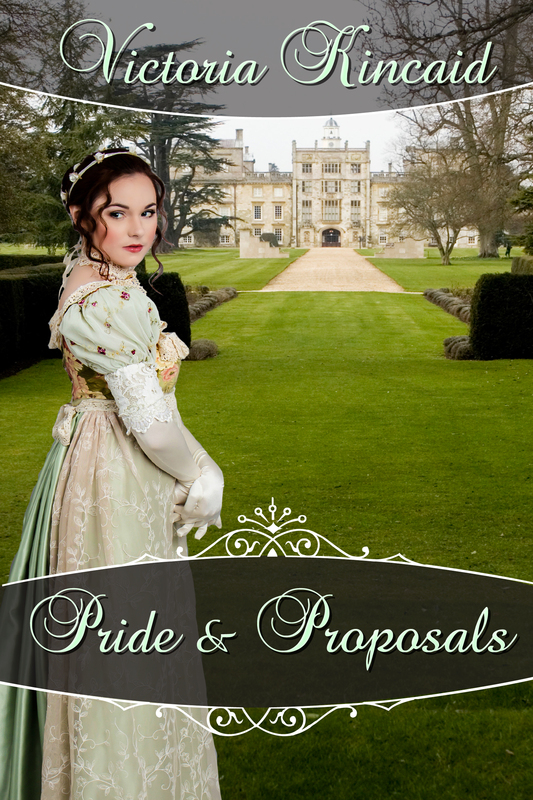 At last, here is the cover for the new book, Pride and Proposals (a Pride and Prejudice Variation, naturally). It should be out on Kindle and Smashwords within a couple days. Stay tuned…. 1. He is steadfast – he doesn’t give up on her, even after she turns him down. 3. He likes her intelligence – This is a biggie. He does think she has fine eyes, but what he really likes is her wit, cleverness, lively conversation. Wouldn’t every woman like to be appreciated for her brain? 4. He values her backbone – One of the first things he notices about her is that she stands up to him. I always assume most women treat him like Miss Bingley, fawning over him and agreeing with everything he says. Darcy likes Elizabeth because she’s her own person. 5. He defends her to other people – Isn’t this a female fantasy? A guy who will tell other people (including catty women) you’re beautiful and smart when they’re criticizing you. 6. He fixes problems for her — Yeah she generally takes care of her own issues, but she can’t fix the Lydia/Wickham thing. He wades into the scandal for her sake without even asking for any credit. 7. He’s played by Colin Firth (and that other guy who’s kind of cute too). But the biggest reason of all: He is willing to change his behavior for her. He admits he was wrong and tries to be a better person so he can deserve her. I think this is the characteristic that sets Darcy apart from most other romantic heroes. Yes, many of them change and make sacrifices for their loved ones, but few make the kind of deep alterations to their character that Darcy does. Deciding you’ll give up your womanizing and gambling for her sake just doesn’t compare. He essentially starts as a selfish character and evolves into one whose primary consideration is the happiness of the woman he loves. Who wouldn’t love that guy? Okay, so that’s my take. What does everyone else think?